Yesterday was a big day for the US stock market. October was forgiven. And forgotten. ‘The Dow closed up 545 points, led by gains in UnitedHealth and Apple. The S&P 500 gained 2.1 percent as the health care, tech, and consumer discretionary sectors each rallied more than 2.8 percent. The Nasdaq Composite rose 2.6 percent. Yes, Dear Reader, it is a wicked world. Some people are always ready to use force or fraud to get what they want. Hundreds of them were elected on Tuesday. Democracy is a dangerous fantasy. The Founding Fathers had little faith in it. They had read the history of Rome. They knew they couldn’t trust the mob. So they created a ‘Republic’ — with a class of patrician insiders interposed between the plebes and the administration. This seemed to work… for a while. Then, after the 17th Amendment brought the direct election of senators in 1913, the patricians — who saw public service as a duty rather than an opportunity — gradually disappeared. The last one we knew personally was Senator Harry Byrd of Virginia, a gentleman to the end. The trouble with an intermediary group of insiders — such as the US Congress — is that it is easy prey to corruption. Instead of looking out for the American people, the pols look out for themselves…and their cronies. Now, almost all members of Congress are hustlers…on the make, or on the take. And American democracy — though immensely entertaining, if you don’t let yourself take it seriously — is little more than a fantasy and a delusion. It presumes that there is a race of super-smart, super-virtuous people capable of running our public affairs. It advertises that these people can be discovered in elections by average voters, who select the best of them. It pretends that the majority of voters get the candidates they really want…and that these politicians give the voters what they asked for. And it imagines that a group of people is better off when its side wins. But there is no evidence that any of these things are true. We will pass over the first three of them…and dig into the last one. The affairs of a modern nation of 330 million people cannot be plausibly understood, in any detail or with any insight, by a group of people who spend most of their time raising money for their re-election campaigns. The more complex a society, the less need it has for politicians to improve it. And there is no way for the average voter to know which candidate would be better-suited to meet the challenges ahead. First, because he doesn’t know what challenges lie ahead. And second, because he doesn’t really know the candidates either. He only has their campaign slogans and their media personalities to go by. Nor does the majority really get what it wants. A government is always used by the few to separate the many from their money, power, and status. The few get contracts, jobs, credits, awards, subsidies, and payoffs, while the majority pay for them. The average voter has no interest in 95% of what the feds do… and would reject it immediately if he had to pay for it directly. He thinks someone else pays… and that it is somehow for his own good. Finally, the voter is urged, even shamed, to the polls as if his life depended on it. His side needs him, he is constantly told. If he doesn’t vote, the gates of Hell will open and the devils on the other side will ravish his wife, steal his money, and change the national anthem. But politics is merely an attractive nuisance. And the connection between it and the rest of life is pernicious. When Freddie Gray died in police custody in Baltimore in 2015, many in the black community went on a rampage, targeting the white-owned businesses downtown. But Baltimore’s mayor was black. The Town Council was dominated by blacks. The police chief was black. The whole political structure of Baltimore was, in fact, under black control. And the president of the United States of America was black, too. As was his attorney general. All across America, blacks had won elections by ‘mobilising the base.’ As a result, the insiders — cronies, contractors, employees, and pension fund managers — enjoyed a big payday. But did this do any good for the average black voter? Just look around the country. Which groups are the most successful? Jews and Asians. Well, how many towns are controlled by Jewish voters? How many states are dominated by Asian voters? Jews and Asians succeed, largely, by ignoring politics. Instead, they focus on career, family, and business. Back in the second half of the 19th century, waves of immigrants were coming into the US Most of them did the best they could; they integrated…and prospered. But one group — the Irish — found that they had the numbers to succeed in politics. In Boston, New York, and Philadelphia, they took power. The result: The Irish made less economic progress than any other major group of voluntary immigrants. That’s the way politics always works. The insiders get the money and the power…the rest get to sing ‘Tu ra lu ra lu ra’ at political rallies. Since founding Agora Inc. in 1979, Bill Bonner has found success and garnered camaraderie in numerous communities and industries. A man of many talents, his entrepreneurial savvy, unique writings, philanthropic undertakings, and preservationist activities have all been recognized and awarded by some of America’s most respected authorities. Along with Addison Wiggin, his friend and colleague, Bill has written two New York Times best-selling books, Financial Reckoning Day and Empire of Debt. Both works have been critically acclaimed internationally. With political journalist Lila Rajiva, he wrote his third New York Times best-selling book, Mobs, Messiahs and Markets, which offers concrete advice on how to avoid the public spectacle of modern finance. 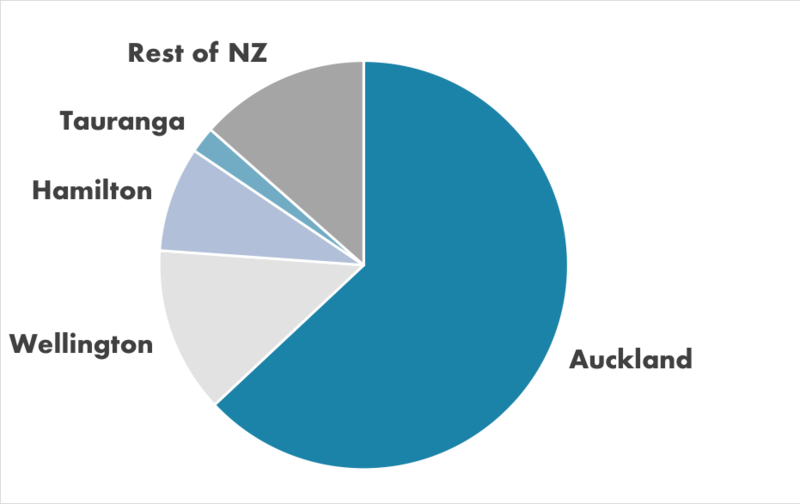 What is the national average house price in New Zealand? Correct Answer: $680,000 - up 5.4% from October 2017. Air NZ Profit Plunge — What’s with Airline Stocks? Money Morning New Zealand is a brand-new investment resource created exclusively for Kiwis. By subscribing, you’ll gain access to our full roster of analysts and investment experts from around the world. Each researcher is dedicated to offering you urgent and useful ideas that could help you improve your finances. Copyright © 2019 — Money Morning. All Rights Reserved.